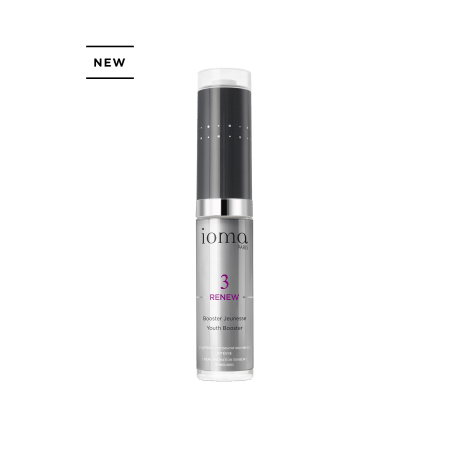 Second generation of connected anti-aging! A smart anti-aging formula with 4 actions: hydration, detox, renewal and protection. Highly concentrated in active ingredients, the new Youth Booster act on the four pillars of youth thanks to its smart ingredients : hydration, restoration, detoxification and skin protection. Youth Booster is the only anti-ageing solution to incorporate an hydration sensor into the cap which measures your skin’s needs when you want, and as often as you want. 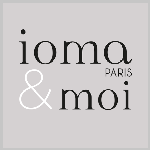 Upon receipt, we will send you a €40-voucher which can be used toward the purchase of your next Youth Booster or toward any order over €150 on the website www.ioma-paris.com. Youth Booster has a unique silky texture that gives immediate skin radiance. *Study carried out on 44 women over 45 years old with a skin phototype between I and IV and monitored by an independent laboratory. This smart component targets the areas that are missing moisturization to give back to the skin its natural elasticity. To follow the evolution of your hydration rate, it's simple! Just count the number of LEDs on! Place the sensor on your cheek for 3 seconds and count the number of LEDs on. * From 1 to 2 LEDs lit up = congrats! The hydration rate is excellent! Beauty tip: keep it up! * 3 to 4 LEDs lit up = can do better! The hydration rate is to be reinforced. Beauty tip: switch to one or two uses a day, morning and evening. * 5 to 6 LEDs lit up = ouch, ouch, ouch! The hydration rate is low. Beauty Tip: Go for two uses a day and add a serum under the skincare to your beauty routine. Youth Booster, the anti-aging care connected to the basic needs of your skin!